To be in the process or act of accepting is a widely varied thing. It can mean gladly or formally receiving something or someone. Acceptance might demonstrate an embracing of what is. It can also signify being resigned and enduring patiently. Gardening teaches me about every aspect of acceptance. Resigning myself and enduring stem from the limits, catastrophies, and disappointments every gardener experiences. Climate, soil, changing seasons, budget, and energy all establish limits for me. Customarily, I try to ignore, push, or overcome any limit I bump into. After awhile (sometimes hours, sometimes years), there are just some limits I have to accept. Time is one of them. I can’t seem to spend all the time I want to tending the garden or the Gardenhood. There are, after all, only twenty-four hours in a day, and I have to attempt to sleep for more of them than I care to. Then, of course, there is all that time spent on necessary and pleasurable self-care: cooking, eating, bathing, reading, and making real human contact. Oh, yeah, and the other necessaries: laundry, house cleaning, paying bills, and that little thing called work. I can make the most of each hour, but I simply can’t make more hours. I grudgingly accept that. Hail leveling a garden surely qualifies as a castrophe. Earwigs destroying the zinnias is a great disappointment. But what can you do? If you’re going to garden, you have to feel the losses and carry on. Carrying on has the potential of alchemy. The dross of drudgery is transformed by an unexpected beauty. You drag yourself out to water or weed before the heat sprawls into the day, and you discover that the lemon-maroon lilies, yellow species hollyhocks, blue butterfly delphinium, purple verbena bonariensis, pink Meideland roses, and scarlet bee balm, are exactly the hues of dawn, hope, and welcoming you wanted in the garden. Even if you don’t know how to photograph it, your peripheral vision puts it all together, and you delight in it all the same. A neighbor walks by and tells you how beautiful the garden is, and you happily receive the compliment. A month ago, when the kind, generous, amazingly creative, and energetic Kevin — author of the versatile, very inspiring, lovely, sunny, and spirited, Nitty Gritty Dirt Man — nominated Gardenhood for the One Lovely Blog Award, I had another occasion to learn about acceptance. To formally accept his nomination, I had to thank Kevin — which I did immediately and somewhat breathlessly. I also had to provide a link to his site from my own, which had already been done in Gardenhood’s blogroll. Next I had to find 10 blogs to nominate for the same award, notify them, and post links to their blogs. I’ll do that before I close. Finally, the stipulations of my acceptance include posting 7 random facts about myself. I’ll see what I can do. In order to know if accepting the nomination was right for me, I had to understand what the award really means. There are quite a few of these awards. Plain and simply, they are utilized to increase bloggers’ awareness of each other and boost readership. That being said, I so admire Kevin and so adore the blogs I’m nominating, that I decided to accept the rules and the award. So here are the blogs I’d like to nominate. (You can read this as: These are blogs I really enjoy and am glad to recommend). Please give them a look-see. Then, while you’re at it, have a look at any of the blogs listed in the blogroll. I was born at 2:51 PM. Dwight D. Eisenhower was President. I’ve lived in 6 states or provinces within 3 countries. I lost a toenail diving from a boulder into a swimming hole. The water was so cold, I didn’t notice the loss until I got out. The third time I read Anna Karenina, I was twenty years old and on a concert tour in still-communist Romania. My first book, Into the Fullness of Being, was published by my dear, dear friend, Robb Heckel. Of the 200 copies, all but a few found their way to people’s book shelves (even some people I’d never met). When I was a Freshman at Macalester College, I smoked a pipe — tobacco, of course. Once, again, thank you, Kevin. It’s been both an honor and an adventure. Post Script: While dragging the hose through a long Saturday morning, my thoughts rooted in the notion of acceptance, a song slowly unpacked itself from memory. “Come gather round people, wherever you roam, and admit that the waters around you have grown. Accept it that soon you’ll be drenched to the bone. If your time to you is worth savin…” I include it here (especially for you, Jim, who way back in May, requested more music). 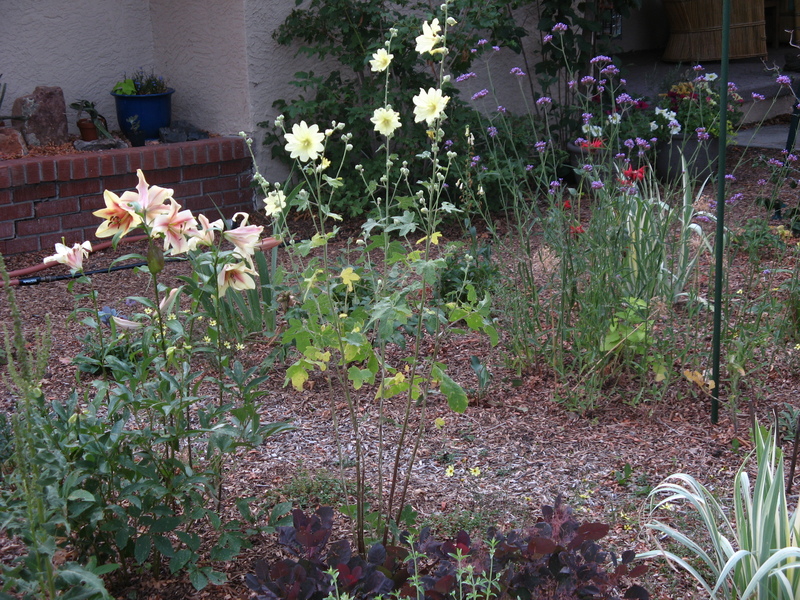 This entry was posted in garden writing, gardenhood, gardening life and tagged acceptance, awards, climate, dragging hoses, gratitude, heat, neighbors, praise, seeing beauty, time. Bookmark the permalink. Cheryl, thank you so much for the nomination. I happily accept! It’s extremely flattering, although I have to point out that if Garden in a City is lovely it’s primarily because of my spouse Judy’s photographs. I’ll be adding a link to Gardenhood on my site. And I’ll start thinking about those seven random facts. Fantastic! Your writing so deserves credit, too. I really enjoy your blog, the whole darn thing. So glad you accepted and tickled you enjoyed the 7 random facts. Looking forward to yours and to continued reading. Thank you! 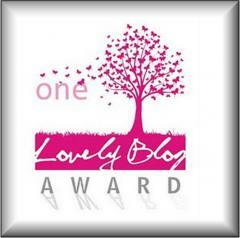 Love your blog and you deserve this award! Thank you, Diana. How glad I am we have this way of keeping tabs when our growing seasons are so hectic. First time here, and I enjoyed your post!